Don't underestimate how important dorm room decorating is! Decorating your college dorm room doesn't just make it comfortable throughout the college year. Decorating your college dorm room also makes it feel more home-like. What is more home-like than decorating for the holidays! You don't have to leave your college dorm room the same way throughout your college year. Dorm room decorating for the holidays will make you feel like you have more of a place in college and like you belong. Where should you start your holiday decorations begin? With our 2'x23" Mocha Tree with Mini Lights! Our 2'x23" Mocha Tree with Mini Lights is a compact dorm essentials item that will add plenty of style to your college dorm room. 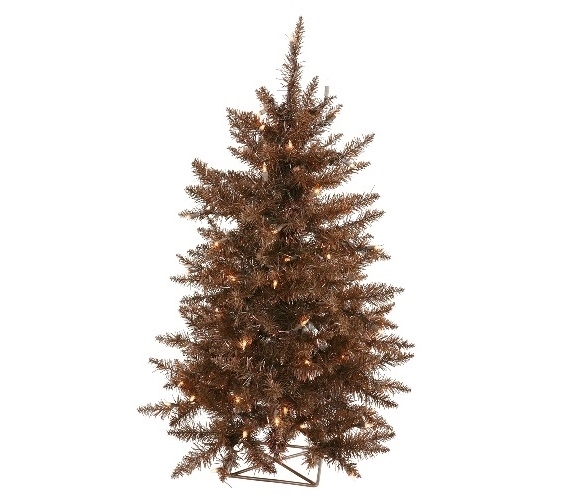 After all, you may just want a mini dorm Christmas tree for your college dorm room because you don't have much space. This dorm necessities item can sit in a corner of your college dorm room or it can even sit on top of a dorm nightstand or college dresser. Since it already comes with clear mini dorm lights, all you have to do is add some garland and dorm Christmas bulbs to make your college dorm room festive for the holiday season.